Nebraska’s backfield will have another option available when ninth-ranked Ohio State visits Memorial Stadium on Saturday night. 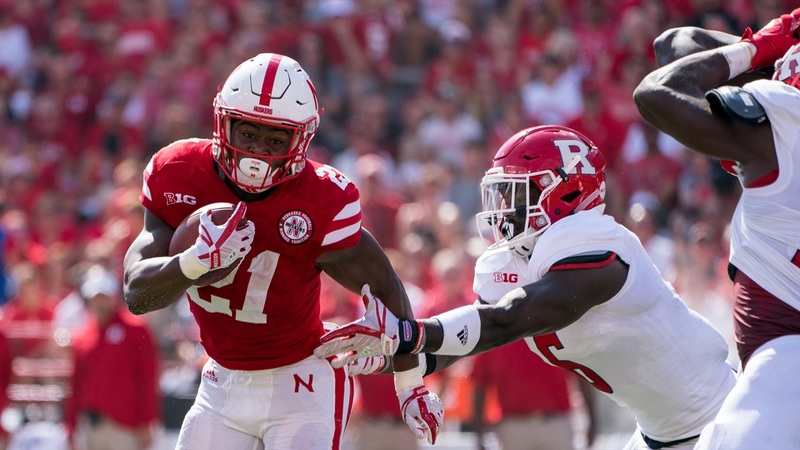 Mike Riley said that junior running back Mikale Wilbon will be able to play against the Buckeyes this week after sitting out last week’s loss to Wisconsin with an ankle injury. Wilbon was the first back off the bench when Tre Bryant, the starter against Arkansas State and Oregon, aggravated a lingering knee injury. Wilbon posted career highs in carries (24) and yards (90) the following week against Northern Illinois. On the season Wilbon has rushed for 251 yards on 56 carries with three touchdowns. Riley said he’ll work “in rotation” with Devine Ozigbo. Ozigbo currently leads the Huskers in rushing at 327 yards, topping 100 yards rushing in each of Nebraska’s past three games. Bryant, who has missed the past four games, nearly made his return this week, too. With an off week following Ohio State, Riley said he was hopeful Bryant could be back to face Purdue on Oct. 28. Elsewhere on offense wide receiver Bryan Reimers injured his ankle this week and will not be available. Senior right tackle David Knevel could make his return this week after injuring his ankle in the season opener. Jaimes, a true freshman, will be getting an up-close look at one of the best defensive lines in the country. The Buckeyes currently rank 11th nationally in sacks (18) and first in tackles for loss (57), but Riley has been encouraged with what he’s seen from Jaimes so far. “I tell you what, this kid is a tough-minded young player on the offensive line,” he said. “It’s pretty impressive that he hasn’t really blinked. He just goes in and plays. He’s smart and he fights. He’s got good athletic ability. Sophomore Michael Decker will continue to start at center, though the player he replaced there, Cole Conrad, could contribute at multiple spots as needed on the offensive line. The Huskers are dealing with some injury issues on defense as well. Safety Antonio Reed is out for the Ohio State game after injuring his knee last week, and safety Aaron Williams is questionable. Riley said the staff would know more about Williams' status on Friday. Linebacker Dedrick Young II will have a cast on his hand but will play. Nebraska and Ohio State kick off at 6:30 p.m. CT at Memorial Stadium on Saturday. The game will be televised on FS1.